Expansion has come in bursts for MOM’s Organic Market, which opened its 19th location June 1 in Gaithersburg, Maryland. The new, 16,000-square-foot store represents the end of one of those growth spurts, during which it opened locations in White Marsh, Maryland; Cherry Hill, New Jersey; Baltimore and Philadelphia. Pausing new-store development periodically allows the company to better evaluate its performance and incorporate its learnings into its next wave of openings, he said. The latest store opening includes a significant test for MOM’s, as it features the retailer’s first in-store bakery. 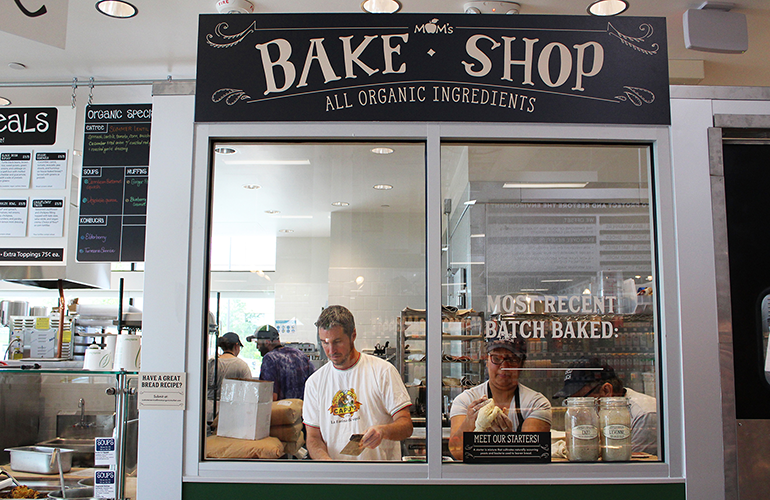 MOM’s Bake Shop, as the department is called, launched with a limited offering of organic sandwich breads and a few other items, but Nash said the company may test a variety of offerings over time. The focus will be on products made with heirloom grains and whole grains, he said. MOM’s is also adding a bakery to its location in College Park, Maryland, that is undergoing an extensive expansion. That store will also include an outlet of the chain’s Witches’ Brew Café and a pinball room, according to reports. The new store in Gaithersburg also includes an outlet of the chain’s Naked Lunch eatery, offering all-organic, vegetarian prepared-food items. Menu items include rice-and-veggie bowls, salads, a black bean burger and a selection of organic raw juices. 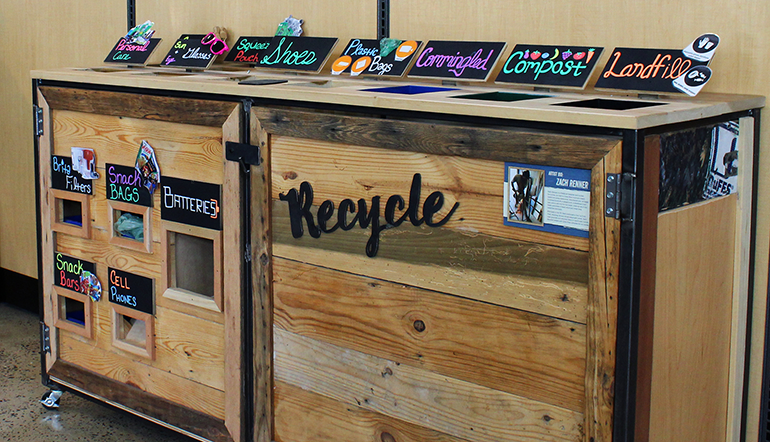 True to the company’s stated purpose, which is “to protect and restore the environment,” the Gaithersburg store also includes many of the eco-friendly services that MOM’s is known for, such as a free car-charging station for electric vehicles; a recycling center for corks, eyeglasses, cell phones, household batteries, shoes and plastic bags; a green roof that increases energy efficiency, and rain gardens; and pollinator-friendly plants that help filter out pollutants in storm water runoff. The product selection also reflects MOM’s dedication to organic and sustainable production, including certified organic produce, sustainable seafood, insect-based proteins, bulk liquids (including oil, vinegar and honey), bulk soap and organic herbs in the health and wellness section, and a selection of Global Organic Textile Standard-certified organic and sustainable apparel. As MOM’s has grown over the last three decades, Nash said he’s learned that preserving the company’s corporate culture and operating standards require careful attention. Measuring the chain’s delivery of its brand promise through key performance indicators, or KPIs, is important, said Nash, as is hiring the right people. The company now includes more than 1,000 employees. MOM’s has also had to update its corporate systems and create new systems as it has grown. For example, the company has added a project management team, Nash said. “Systems are very important, and the people are very important, and that has a lot to do with culture and management,” he said.